On a very demanding market, Melarox has been serving customers from all over the country since 1993. Back then, they started repairing household electronics. Then, they moved on to selling them and now they don’t just have a highly competitive online shop, but also three showrooms that drive customers in like a magnet. We’re proud to have had a contribution to their online success. 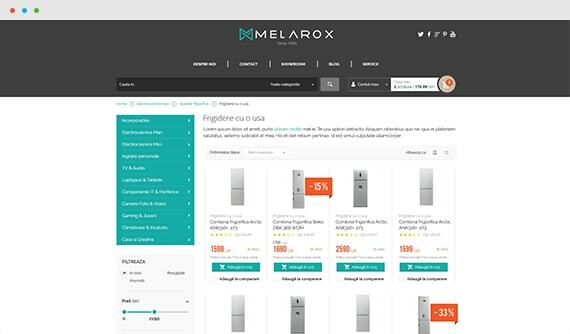 An online shop with hundreds of products, which had to facilitate account creation, to secure payments, to introduce brick-and-mortar showrooms and to educate clients through an out-of-the-box blog and newsletter – Melarox came with so many client-demands. Just like we do with all our overwhelming projects, we initially focused on creating a meticulous wireframe. The talks between designers and developers might have escalated at times, but that’s just natural when you put so much passion in your job. In the end, we all agreed on the essentials of creating this amazing platform. 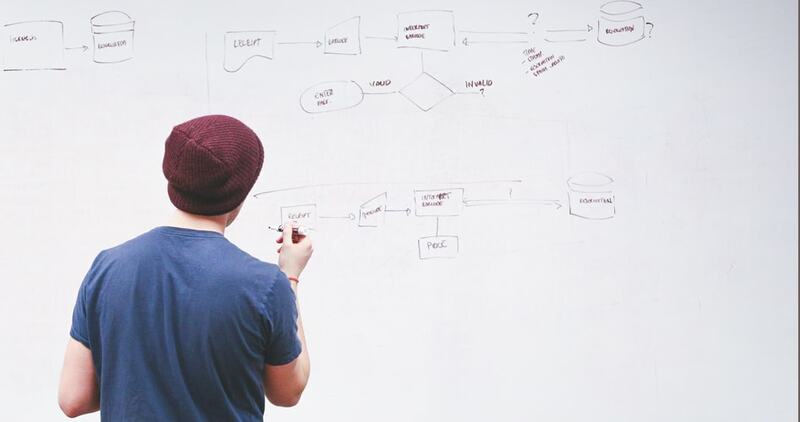 Given the wide range of information, we thought that the best way to avoid confusions and clutter would be to outline a simple user interface. We consequently opted for a mostly white background, with clear and readable information across all pages, color highlights on specific areas, and an overall clear navigation throughout the website. It doesn’t take much knowledge to realize what a fierce competition Melarox has on the market. Studying it in detail was a top priority, allowing us to identify the strengths and the potential flaws of this business, suggesting the client unique positioning strategies and selling propositions. Our research helped the client improve his services and helped us plan a user-friendly environment for the targeted audience. Choosing a color palette for such a complex platform is never easy. Our designers worked through a couple of versions before perfecting the existing color scheme. Together with the client, we settled for a 3-color palette where white dominates the background, dark shades of gray emphasize menus throughout the pages, and a relaxing green adds a splash of color and contrast. We wanted to put together one of the simplest ordering systems available on the market. We thought that 3 easy steps should be everything it takes for a user to place an order. That’s why our client’s Check-out section has only 3 steps and anyone can basically order anything from the website in under less than 3 minutes. Minimizing user interaction brings extra clarity and increases customer satisfaction, two benefits that our client was quite excited of. We know that font colors and sizes have a special impact in the visitor’s mind. That’s why we invested a lot of time in researching and testing the most suitable font for this website. We opted for a combination of “Raleway”, 15px for the general text, with “Bebas” for titles, prices, or important headings and it turned out just great. We wanted to create a user interface that will insinuate in the back of the client’s mind – welcoming and authoritative at the same time, simple but complex as you start surfing through menus. Above all that, we aimed to emphasize our client’s passion for his business, relying on numerous design details, visual interactive menus, and various assistance options throughout the entire platform. 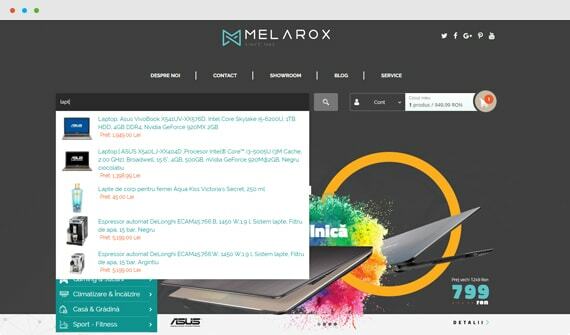 Explore this slide on the right side for a better view of what visitors experience on the Melarox website. All the custom features we implemented on this project were nothing but the projection of our client’s commitment. 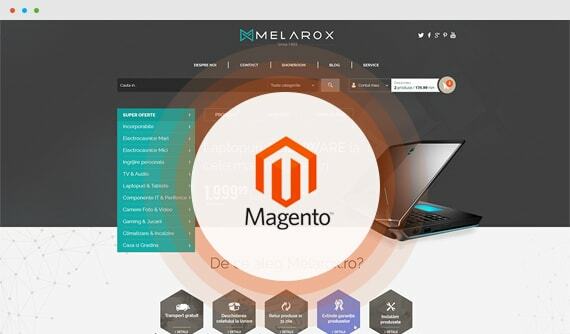 Part of his exigencies simply couldn’t be fulfilled by the standard Magento features, so we had to interfere and personalize filters, modules and tracking systems along the way. The client didn’t just want an online shop like anything else currently on the market. 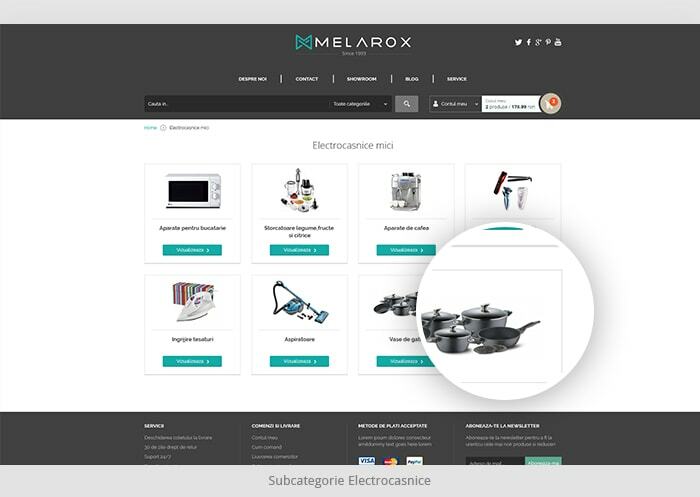 Melarox wanted to take distance from its competitors, catching the eye of its visitors through a versatile and user-friendly design, while providing competitive products and services. Another major objective of our collaboration was to boast the kind of style that the client was looking for, without interfering with the efficiency of the platform in any way. The default Magento core was simply just not good enough for our client’s needs, or for the plans that our developers had in mind. So we have made additional improvements in its core functions. Naturally, we made sure that our coding would be upgradable, non-overwritable, and easy to accommodate regardless of the future customizations. The two default check-out options that Magento provides rely on either a 1-step checkout process or a 3-steps checkout process. None of them was suitable for our project scope. Just like we did with the core functions, we went on implementing a custom checkout process that incorporates the best features of both the 1-step and the 3-step readily-available processes. Online shops are demanding in terms of information architecture, but coding for the actual filtering isn’t easy either. One of our main challenges was, therefore, to improve the default filters of Magento, so it will better cater the needs and expectations of our client. 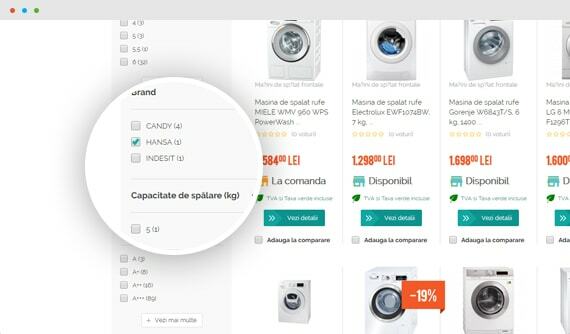 In the end, we managed to deliver a highly customizable filter system in the Magento admin, for each category of the website. As professionalism and readiness were two core values of Melarox, making sure that the selling proceeds seamlessly up to the final stage was non-negotiable. Consequently, we implemented a tracking system in Magento. Thanks to it, both our client and its customers have an accurate image of where their products are and how the delivery goes. The shop contained an overwhelming number of products from the moment we were introduced to it and the client had no intention of slowing down his offer. Providing an efficient search function was another pressing need that we were happy to accommodate. That’s how we come to deliver an improved search system that filters and recommends products in real time for any user. We also implemented a search function within the blog, but as far as the products are concerned, the option is available at the top of any page of the website. Demanding clients ask for innovative solutions and with Melarox we had to push boundaries more than once. After customizing pretty much anything from Magento’s core to the check-out processes and filtering options, our work was far to end. As a final challenge of the project, our developers had to improve the default inventory module of Magento. We also tweaked the warranty module – did we mention we do everything it takes to keep our customers happy with our services? 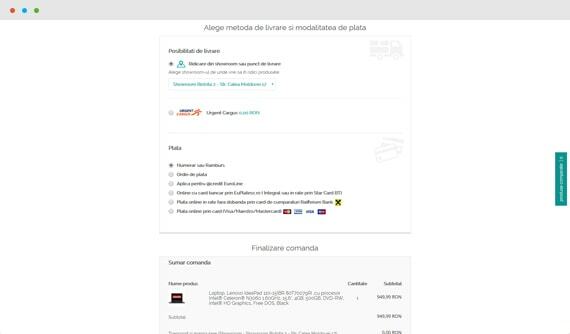 Did you like our Magento project?